What is different about Heart for Africa now? I remember my first trip to Africa in April 2003 like it was yesterday. If I close my eyes I can still smell the sour odor of human waste and filth wafting off the street children, the smell of raw sewage that flows freely through the slums and the rotting flesh of HIV/AIDS related Kaposi Sarcoma cancer. I will never forget the looks in the eyes of the children who were living on the street and remained living on the street as we drove away in our safe vehicle to return home to a shower and food on the table. I remember asking myself how 500,000 children could be living on the streets of Nairobi and how 11 million children had lost their parents to a disease that was never talked about in Canada, ever? It was in April 2013 that I started on the journey that I have been on for 11 years and it was a journey to knowledge; knowledge about HIV/AIDS, Tuberculosis, malnutrition, poverty, wealth, greed, hunger, Christians, sacrifice, love, joy, peace and total surrender. I remember clearly that I wanted everyone I knew to go and see what I had seen in Africa. Six months after my first trip to Kenya I gathered a group of people from ONYX Marketing Group to travel with me to see what I had seen, so that together we could fight against the injustices of poverty, corruption and sin. I was a bit like a rabid dog wanting everyone I knew to GO AND SEE! And then I knew they would be transformed, as I had been, and we could do something to help. In 2005 our family started volunteering with Dream for Africa and on February 1, 2006 we took over the ministry full-time and changed the name to Heart for Africa. From 2005 to 2014 we hosted more than 5,400 (!) people on 11-day service trips in South Africa, Swaziland, Kenya and Malawi. For many of those years we worked tirelessly to recruit people to go and see for themselves, so that they could help. But I quickly learned, as so many do, that it’s really hard to help in any significant, long-lasting way, when you live thousands of miles from the people whom you serve. I, along with many who volunteered with us, would often leave Africa discouraged, feeling like we hadn’t done enough or helped the people in greatest need. Much of that changed when we moved to Swaziland. Living here has been a huge gift. It is not easy, but we love it. I miss my children desperately and I am only now realizing the huge sacrifices that they have made in the past eight years, including our incredibly disruptive move to Africa. There are days that I long for “normal” – you know, dinner in a restaurant, no emergency calls about a sick/burned/dead baby or no power outages. But I know that we are where the Lord wants us to be, and that by being here we can help in a significant, long-lasting way. I believe with my whole heart that the development of Project Canaan is not only benefitting the abandoned babies who are being raised here, and the people from our surrounding community who are employed here, but as we work to achieve our goals of self-sustainability we will also be helping many others in the rural communities who are currently unreached. With a plan in place to become self-sustainable (meaning no donor funds needed for operating costs) by 2020, we have now been able to identify areas where we can invite volunteers to come and help in maybe a more meaningful and practical way than before. Starting in 2015 Heart for Africa will only have one large 11-day service trip to Swaziland that is in the model of the past trips (i.e stay at Lugogo Sun Hotel, all ages welcome, great intro-to-missions trip, work at Project Canaan, visit community homesteads, serve at a rural church on Sat/Sun). This trip will be in July to accommodate all westerners who want to come during school holidays. We don’t plan to ever cancel that trip as long as people are willing and able to come. Just had to add a cute baby photo from lunch time. · Trades people who can come and hold clinics to teach our tradesmen new techniques to improve their skills. · Children’s Ministry leaders who can come and teach others the importance of and how to teach our little ones (and each other) about Jesus. · Farmers who can assist in helping us implement best practices in animal husbandry, crop yield, dairy production etc. 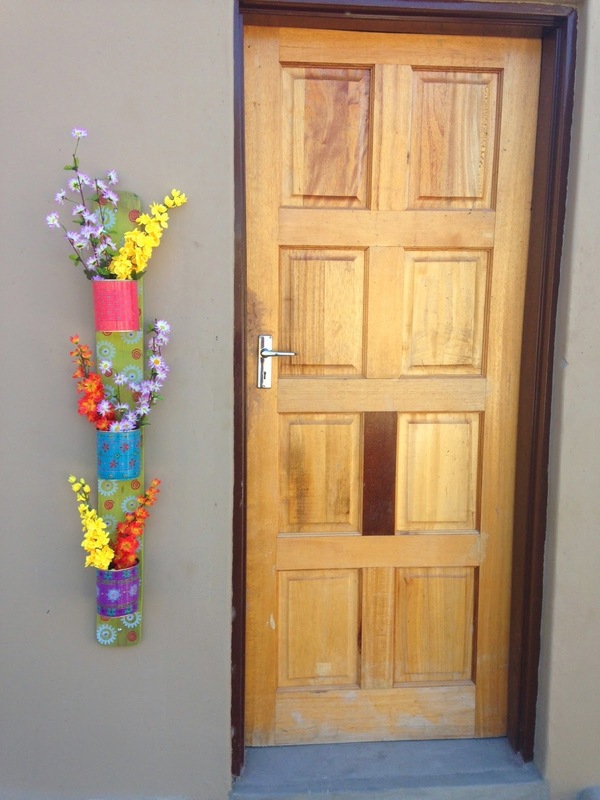 · People who just love children – and want to come and read with our kids, play with our kids and take a little pressure off the Aunties who are there 24/7. · Dentists who can come and provide care for the 220 workers who have never been to a Dentist in their lives. · Nurses and Doctors who can help us provide care to the surrounding community. · And so many other skills that we don’t even know that we need yet. This is a big change in focus for us, but now we believe it is the right change and look forward to continuing to have people come and serve God through the people of Swaziland. I was reading in Ecclesiastes yesterday and thought this scripture was very timely. 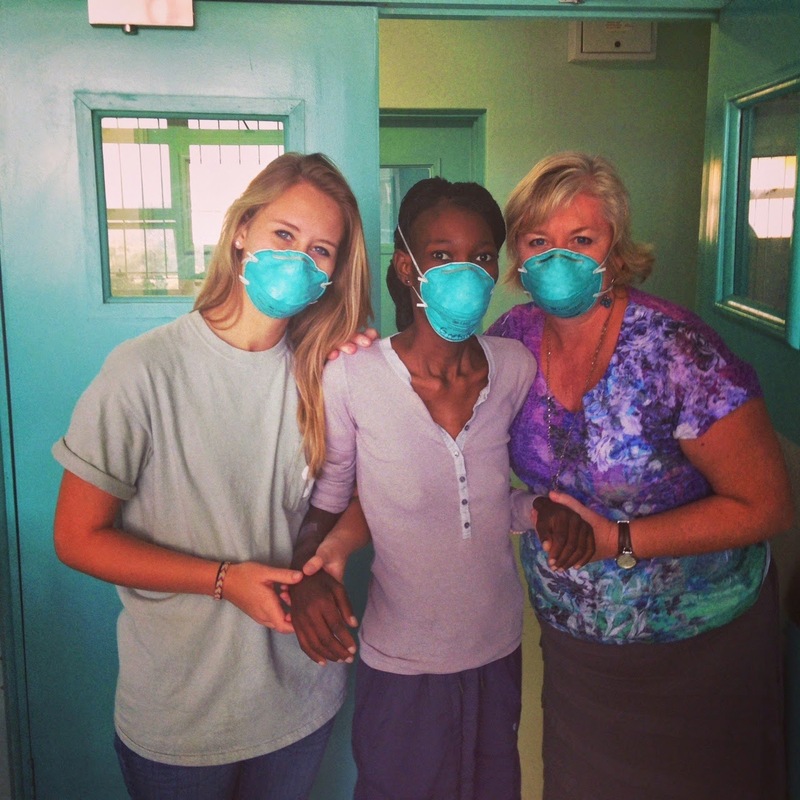 Live from Swaziland … looking forward to spending the day with Chloe! PS Registration is now open for a team of people to come and help us finish up the dorms and kitchen/dininghall for the "big kids". We are looking for anyone who can paint, hang curtains, assemble furniture, fix-it people, or anyone who can just lend a hand. You can register today at http://www.heartforafrica.org/trips/DT15Feb21Mar2.aspx. What ever happened to ...? (updates on people and projects). Miriam's "Got Milk". Photo by Jacob Van Singel. Chloe and I taking Nomsa out of the hospital to the truck. Her real name is Gcebile Mabuza, but when I first started blogging about her I called her Nomsa for two reasons; it provided privacy for me to tell her story and it was an easy name for people who were reading the blog. 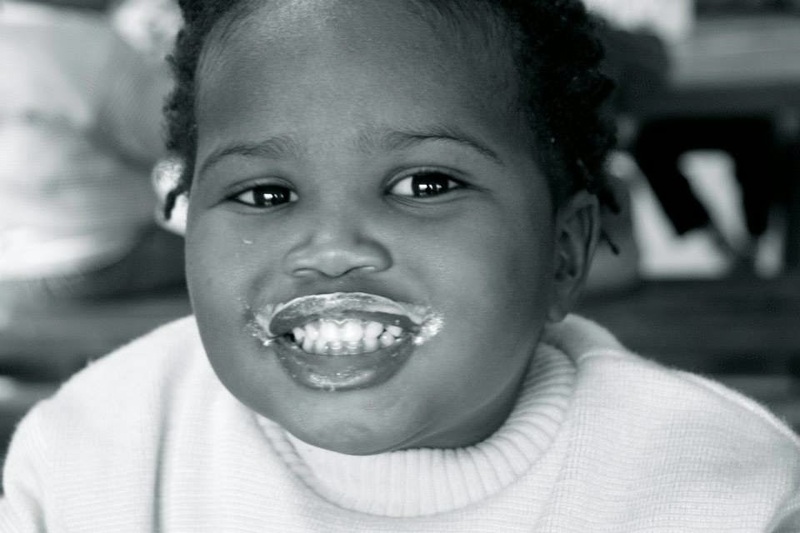 “Gcebile” has a front tooth cluck to it and can be tricky for the untrained tongue. On November 19th, 2012 (my birth day), Nomsa gave birth to her fourth and fifth children at the age of 23 years. Her girls Rachel and Leah were her second set of twins and in early December she was dying on the floor of her mud hut from MDR-TB (Multiple Drug Resistant Tuberculosis). She was taken to the TB hospital and I was called and asked if I could take the twins. The answer was “yes”. And that is how Nomsa and I met. In January 2013 I started visiting her once a week to take her food, reading materials and to try to help her get healthy and well so that one day she could care for her own babies and they would not become orphans. For a year she seemed to get better, gaining weight, taking her medicines and injections daily and helping so many other dying women who needed help in the ward. In the fall of 2013 she took a turn for the worst. She had left the hospital to take her medication at home, but got very sick and ended up back at the TB hospital. One day when Chloe and I were at the hospital visiting we heard the news that we never wanted to hear (but always suspected). 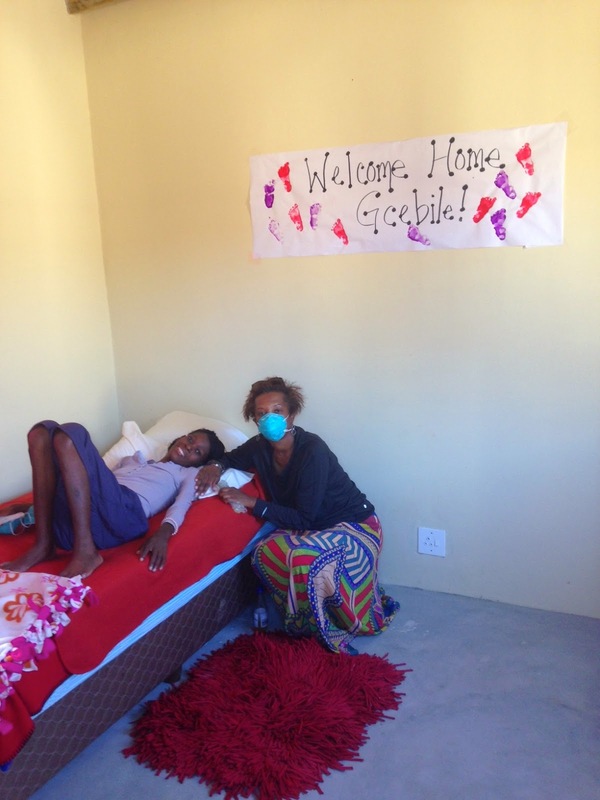 Nomsa had become Extremely Drug Resistant to her Tuberculosis medication (XDR-TB). This life-altering moment not only changed her life, but it changed ours. This moment was captured live by film makers Jezz Newman and Beckie Stewart in their incredible film called “TB: Silent Killer - Return of the plague”, which is a PBS/BBC documentary about MDR-TB. If you have not seen the film, I encourage you to google it or go to www.pbs.com and watch it today. Since that day Nomsa’s health has been in decline. She was moved in to isolation and has watched roommate after roommate succumb to this horrific “plague”, dying in front of her eyes. Her weight has dropped from 120 lbs to 83 lbs. She is skin and bones, can’t walk on her own, is in terrible pain and is not always lucid. In 2013 we built a house for her (a single room) at the kibbutz on Project Canaan with hope that she would one day be “culture negative” (non-infectious) and could move. That day of “un-infectiousness” does not appear to be on the horizon. In fact, we are told unofficially that only one person in Swaziland has recovered from XDR-TB. We are still praying for a miracle. Last week I succumbed, not to the disease, but to her cries to go home. She had given up hope in the hospital and was failing quickly. The Doctor shared with me that they almost lost her a couple of weeks ago while I was away, but she rallied one more time and stabilized, with more medication. Last week I could no longer bear her phone calls, begging and tears. I sought council from friends and experts as to the risks of bringing her here and surprisingly got full support from everyone, including the other women at the Kibbutz and the Aunties at the Children’s Campus. Everyone said that I MUST go and get her and they would all help care for her. The Kibbutz ladies would help care for her and her room. The Aunties would send down food three times a day. People from abroad have offered to pay for her food, get her a cell phone with a radio and come and visit her when they can. The outpouring has been overwhelming to me. Nomsa seeing her twins on the way to her house. She couldn't touch them, but saw them. She has been here for five days and I now realize this may be the hardest thing I ever do. Here are a few personal confessions from me. I am not good with sick people. I am not good with hospice. I would be a better emergency room worker, but not a long-term care person. I hate to see people in pain. I avoid watching people suffer. Nomsa is sick, she is in hospice under my care, she has been in long-term care (hospital for two years), she is in pain and she is suffering. Janice Johnson with Nomsa in her new bed. I have gone to see her each day to count out and put in the correct containers her 36 pills, for her XDR-TB, her HIV/AIDS and her potassium and magnesium deficiency (which has lead to kidney failure). I (and everyone visiting her) must wear a N95 mask and replace it every week to keep me/us safe when I/we see her. The women at the Kibbutz have gone every day to wash her, clean her room, bring her water and try to encourage her. They are simply amazing. I believe that Nomsa is suffering from depression and some dementia, which is causing unusual conversations and demands (i.e. she only likes white bread, doesn’t like boiled chicken, pizza isn’t real food, and she wants a full time nurse to come and sit with her). We are all working together to sort this out and help get each of us through this for the weeks or months to come. 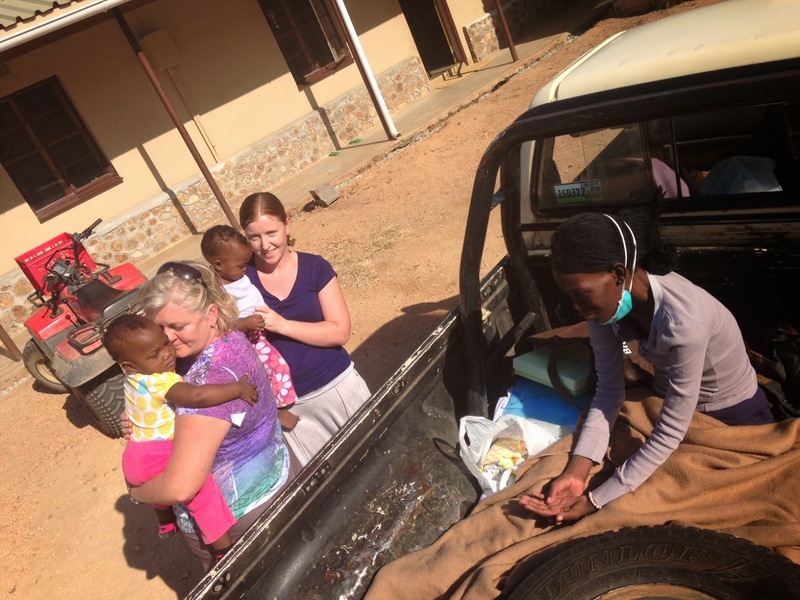 Three days a week a government nurse is driven out to the farm to give Nomsa an injection in her hip. They are committed to doing this every week, but have said that sometimes there is no gas for the vehicle and they don’t always travel when it’s raining. Sigh. We will make a back up plan, because we can, but what about all the other people who will miss out on their injections? I will admit, I am really struggling with this. I feel a huge burden of responsibility and want her to get better, and I do believe in miracles. But I have to remember that if she is not healed in this life, that we brought her here so that she can die with dignity, surrounded by people who love her. I need to try to smile when I visit her (though the mask) and not feel sick when I count out her pills. I need to remember to show her that I love her and not that I am terrified of her death. Thank you for reading this blog and for your prayers for everyone here. Please pray for protection for all and grace, joy and HIS peace that passes all understanding. Live from Swaziland … some days are better than others. 880,000 hard boiled eggs a year?